Today we want to introduce you to Amy Clough, of Clough'9 Cookies, whose pretty and elegant cookies look deceivingly simple because of their clarity of form. My mom initiated me into the world of baking when I was a little girl. She taught me how to bake and decorate cakes, and I used those skills to create entries for my local 4-H Fair. My mom continued to inspire me as an adult by gifting me cookie cutters. Often, the cutter would be attached to a card that pictured a suggested way to decorate the cookie. 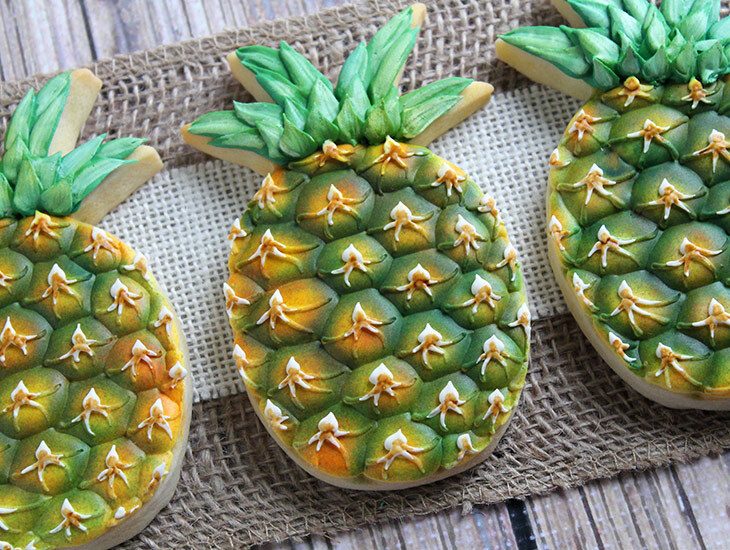 I always thought that it was just silly to spend all that time to decorate one little cookie…until I tried it. 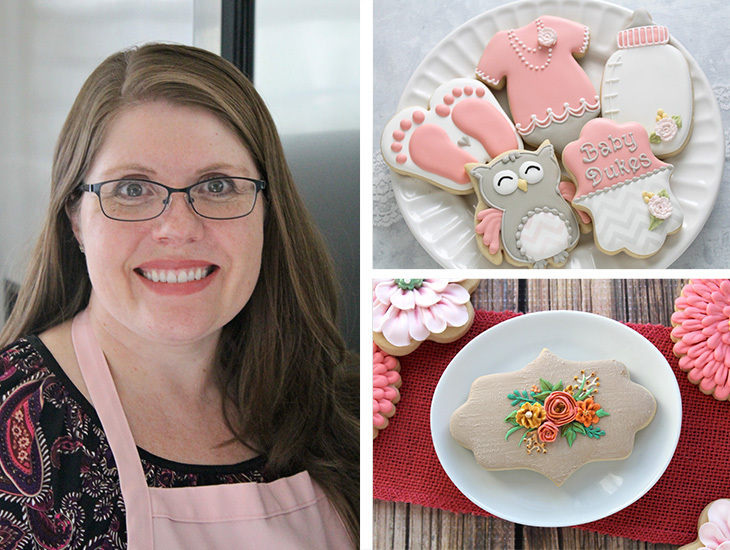 After scouring through many blogs and videos on cookie decorating, I was truly hooked. I even left my teaching career for cookies! Photo courtesy of Clough'D 9 Cookies. 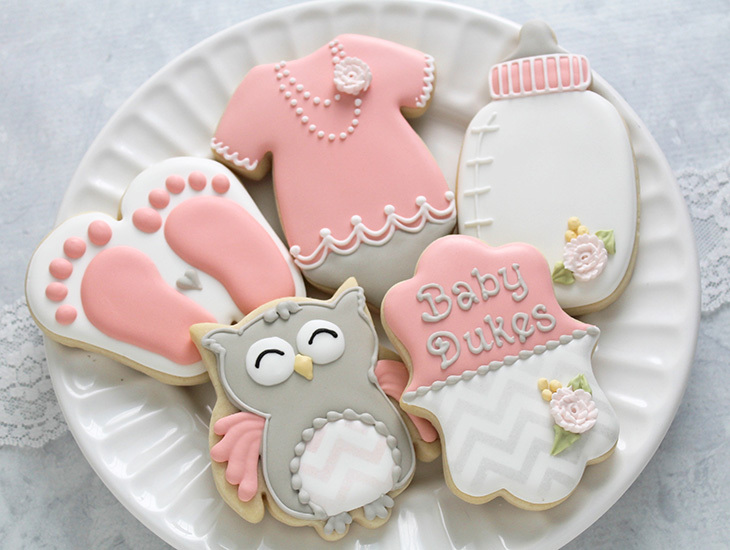 Shapes used Baby Onesie Cookie Cutter and Cute Owl Cookie Cutter. I have no "formal" training- no pastry or culinary school here! Once I stumbled on the online cookie community, I immersed myself into anything I could read and watch that was cookie related. Taking the lessons I learned, I tweaked techniques to make them work for me. In addition, I've attended all of the CookieCon Conventions to date, which have provided immense amounts of information. Photo courtesy of Clough'D 9 Cookies. Shape used Long Fancy Plaque Cookie Cutter. This is a tough question for me, as I have yet to identify my "style". Since I create cookies for clients, many times the style of the order is reflective of the client's wishes. However, I try to have "cookie playtime" whenever possible, where I create cookies just for me. In those instances, I strive for tiny details and often attempt to mimic elements I see in the world around me. Find a good royal icing recipe and get to know it well. Understand how to achieve different consistencies and how to decorate with them. If you find that your royal icing consistency isn't exactly how you want it, fix it. Take the few minutes to get the thickness that you want because you'll be much happier with the end results. Photo courtesy of Clough'D 9 Cookies. 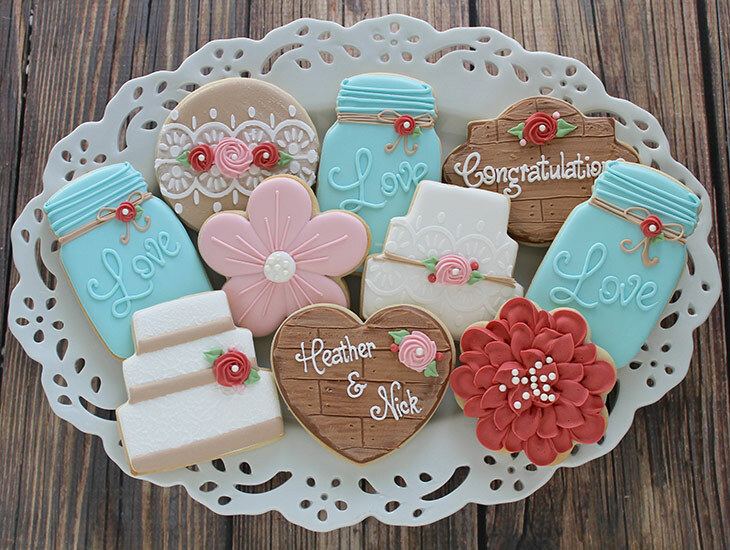 Shapes used Sqaure Plaque Cookie Cutter, Wedding Cake Plaque Cookie Cutter and Mason Jar Cookie Cutter. Plaques are a cookier's best friend, and the square plaque cutter (I call it my "fancy square") has saved the day on many orders. This plaque is perfect for a monogram for a bridal shower or a numeral for a birthday cookie collection. In addition, the baby onesie is a standard design for nearly every baby order. Cookies are going to continue to be a popular item at any celebration. I cannot think of a single event where decorated cookies don't belong! I especially anticipate decorated cookies to be offered more often as wedding favors. They're perfect for this use! 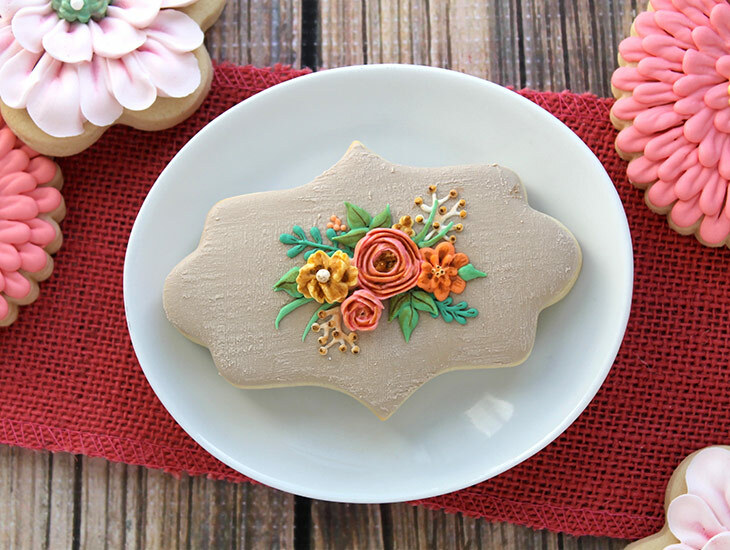 Guests can marvel at the beauty and personal nature of the cookie, nibble on it at the reception, and avoid having to carry home some trinket to stick in a drawer. I have a feeling that guests will remember a beautiful cookie over a stinky candle. Social media has had a huge impact on my cookie decorating, from the very start. It was through social media that I discovered individuals who have paved the way in the cookie world. Many of my clients discovered me via social media. On a personal level, social media has given cookiers a platform to connect with other cookie people- to learn from, exchange ideas, and build wonderful friendships. Photo courtesy of Clough'D 9 Cookies. Shape used Pineapple Cookie Cutter. I find inspiration in all sorts of places- greeting cards, wrapping paper, fabric stores, home décor stores. The inspiration is endless! I often take a picture with my phone, and file it away for one of my "cookie playtime" days. My scribe tool and cake tester. Both tools I use to pop bubbles, smooth icing, and coax icing to move where I want it to go. I seem to cycle through favorite cutters. Right now, my scalloped square gets quite a bit of use. I must mention the two ladies that started me on my cookie adventure: Sweet Sugarbelle and LilaLoa.